The last regular Trans-Atlantic liner, final voyage. The artist still has his sketches made at the time and one other watercolour with the ships stamp. 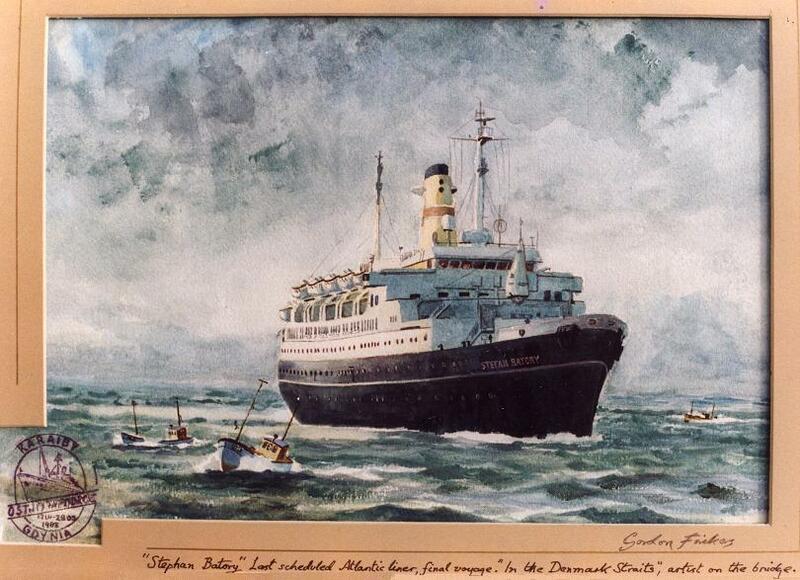 Stefan Batory on her final voyage, the last Trans-Atlantic Ocean liner. Note the ship’s stamp in the margin. A unique record, painted from direct observation while on board.